Enhanced care, enhanced lives: Providing compassionate and individualized care to promote independence. 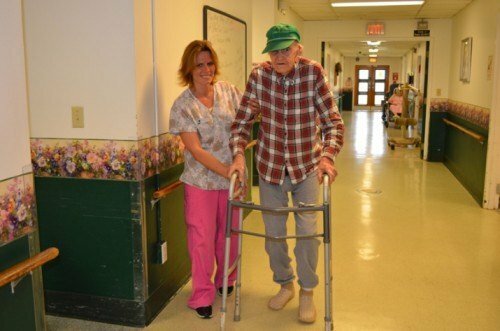 Highland Park offers comprehensive long-term and short-term nursing home care, including skilled nursing and rehabilitation, as well as Adult Day Care. Whether someone is admitted for short-term rehabilitation or long-term care, an individually tailored program of care is developed for each resident. Each resident’s care is provided in a team approach by highly qualified and experienced professionals. Residents and their family members are included in care decisions and goal setting through informal discussions as well as periodic team care conferences.